The Pentagon is the Virginia headquarters of the U.S. Department of Defense, located in a massive five-sided concrete and steel building that’s a potent symbol of America’s military strength. 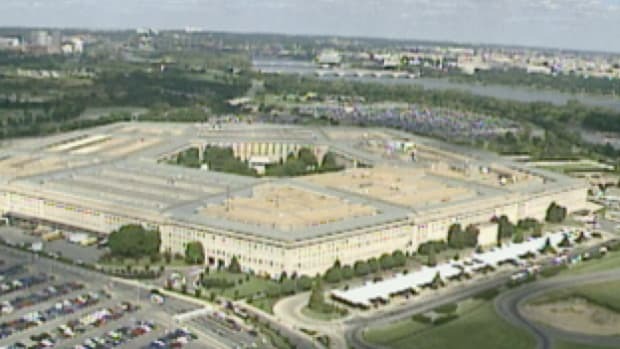 With more than 6 million square feet of floor space, the Pentagon ranks among the largest office buildings in the world. During the terrorist attacks of September 11, 2001—60 years to the day after construction began on the Pentagon—a hijacked plane struck the building, killing 189 people and damaging roughly one-third of the building. On May 27, 1941, three weeks after Germany’s surprise attack on the Soviet Union, U.S. President Franklin D. Roosevelt declared a state of national emergency. World War II was in full swing, and Adolf Hitler‘s Nazi Germany had already occupied much of continental Europe. The U.S. War Department was growing rapidly, with 24,000 personnel scattered among 17 buildings in Washington, D.C. By the beginning of the next year, that number was expected to reach 30,000. Did you know? 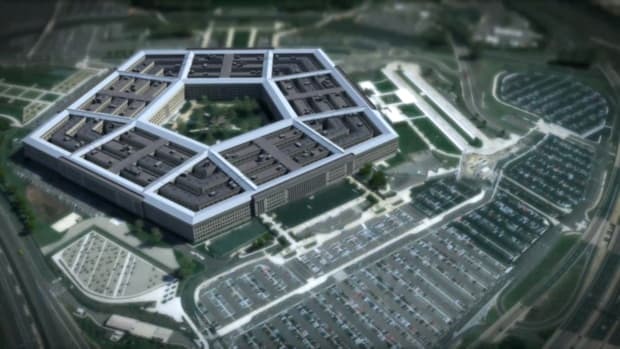 Construction on the Pentagon began on September 11, 1941, 60 years to the day before the terrorist attacks of September 11, 2001. General George C. Marshall, the Army’s chief of staff, turned to Brigadier General Brehon B. Somervell, head of the Army’s Construction Division, for a solution. Known as Arlington Farm, the plot of land was once part of the grand estate of the Confederate general Robert E. Lee. When Somervell’s lead architect, G. Edwin Bergstrom, drew up the design for the building, he was forced by the position of existing roads at the site to use an asymmetrical five-sided shape. Somervell had determined that the building could be no more than four stories high, both to accommodate a wartime scarcity of steel and to prevent blocking the views of Washington, D.C. The three-story building would be completed, he claimed, within a year, with 500,000 square feet ready for use within six months. Although the new site, known as Hell’s Bottom, did not require the unique shape of the building’s design, time was tight and things went ahead as planned. Bergstrom’s team made the pentagon symmetrical, with multiple concentric pentagons placed inside one another, interlaced with corridors and surrounding a courtyard. A pentagonal shape meant shorter interior distances than with a rectangle, while the straight sides were easier to build than a circular building; the shape also recalled traditional fortress constructions, as well as Civil War-era battlements. From the $35 million Somervell had originally proposed, costs had ballooned to $75 million, though some claimed it was even higher. 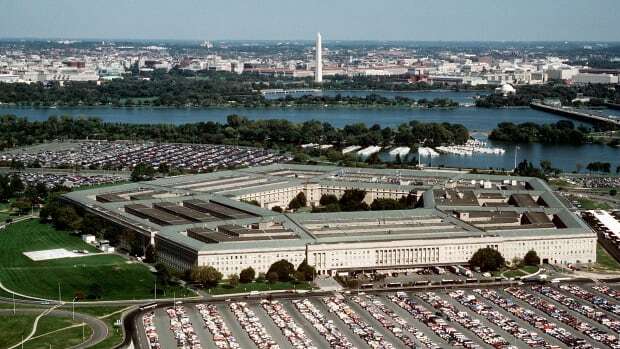 Many wondered what to do with the Pentagon after the war ended, as the common view was that the War Department would have no need for a building so large in peacetime. Some said it should be converted into a hospital, a university or headquarters for the Veterans Administration, but the Army had no intention of giving it up. In September 1947, Congress passed the National Security Act, ushering in the single biggest military reorganization in American history. 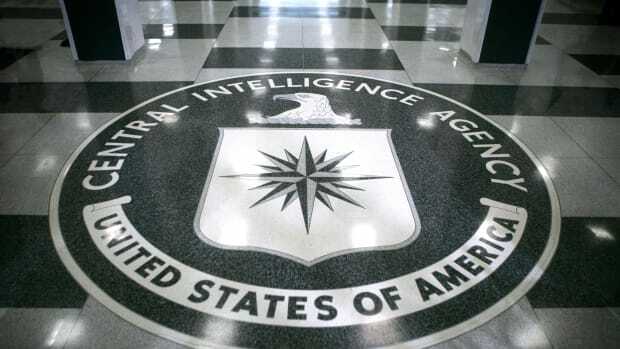 The act created the National Military Establishment, split the Air Force from the Army, formally established the Joint Chiefs of Staff and created the Central Intelligence Agency (CIA) and the National Security Council. In the post-World War II era, the Pentagon’s role was shaped decisively by growing Cold War tensions, as the wartime alliance with the Soviet Union disintegrated into a fierce rivalry, fueled by the nuclear arms race and the growing number of U.S. security commitments around the world. To provide a strong center for the military establishment, President Harry Truman wanted the Navy, Army and Air Force all to be headquartered in the Pentagon. James Forrestal, the nation’s first secretary of defense, took on that monumental task. Though Forrestal would be remembered by many as the “godfather” of the national security state, the great strain of the job exacerbated his existing mental illness, and he soon exhibited unmistakable signs of decline. After Truman replaced him with Louis Johnson in January 1949, Forrestal suffered a nervous breakdown; four months later, he committed suicide. 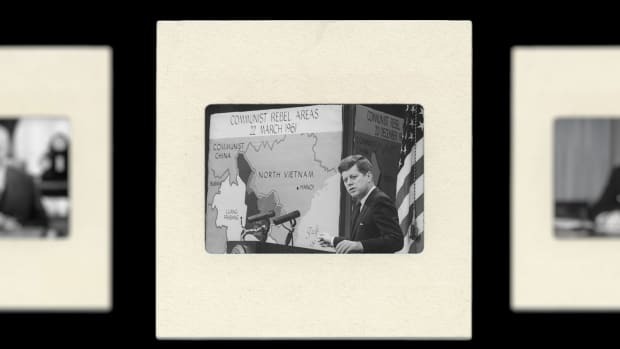 Despite this inauspicious start, the defense establishment continued to solidify itself, especially after August 1949, when the Soviet Union exploded an atomic bomb in Siberia. 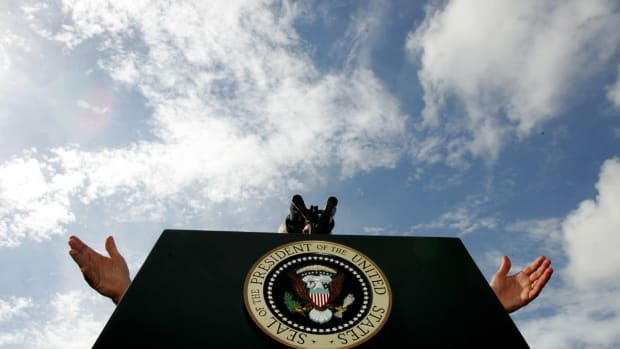 On August 10, Truman signed a law giving the secretary of defense total power over the armed forces and renaming the National Military Establishment the Department of Defense. On the heels of North Korea‘s invasion of South Korea in June 1950, the Pentagon staff returned to wartime highs; it would eventually reach 33,000. By the time the Korean War ended, the building had become a tourist attraction, with people strolling its grounds and inner courtyard, and gawking at its massive size. It had also become an unmistakable symbol of America’s growing military dominance in the world, a development that was celebrated by many and feared by many more. On October 21, 1967, at the height of the United States’ controversial involvement in the Vietnam War, some 35,000 antiwar protesters rallied around the Lincoln Memorial and marched across the Memorial Bridge toward the Pentagon. Meanwhile, more than 2,000 federal troops gathered inside the building, armed with tear gas. When the crowd surged toward the building, soldiers met them with bayonets fixed to their rifles. 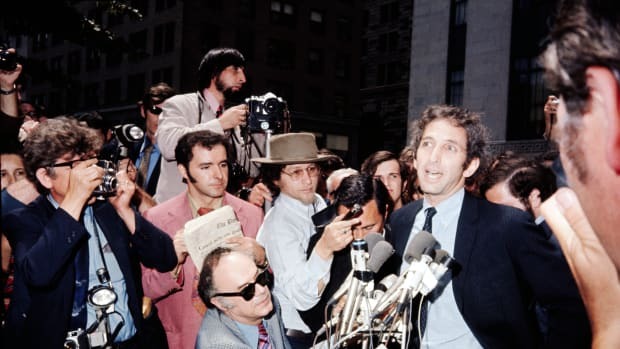 Sporadic violence continued into the night, but by the time the last protesters were arrested, the building’s defense had been a success: no one had been killed and not a shot had been fired. However, the incident only worsened relations between antiwar protesters and the government. In May 1972, an antiwar group called the Weather Underground placed a bomb in a women’s restroom at the Pentagon. It exploded at 1 a.m., injuring no one but causing some $75,000 in damages. America’s next large-scale military deployment came in 1990 with the launch of Operation Desert Shield in the Persian Gulf War. By that time, it had become increasingly apparent that the aging infrastructure of the Pentagon—proclaimed a National Historic Landmark in 1992—was in need of a sweeping renovation to meet the challenges of a new age. 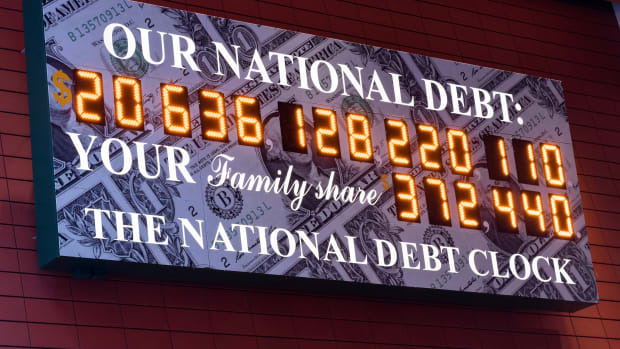 Work began in October 1994, after Congress approved more than $1 billion for the effort. As before, the renovation went far beyond its original timeline and way over budget, especially after security precautions were stepped up after U.S. embassy bombings in Kenya and Tanzania in 1998. By September 11, 2001, the renovations were in their final stages. That day—shortly after the attack on the World Trade Center in New York City—American Airlines Flight 77 crashed into the Pentagon’s first floor west wall at 9:37 a.m. 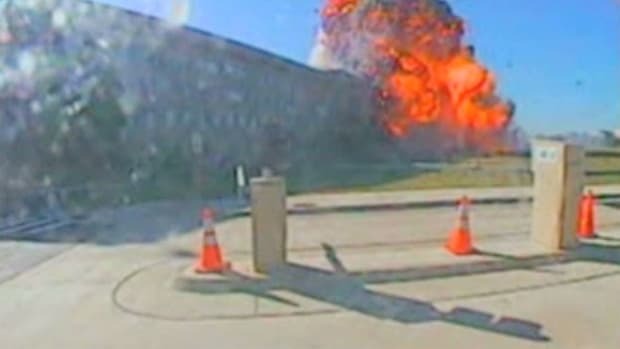 Traveling 529 miles per hour at the time of the impact, the hijacked Boeing 757 made a gash 30 yards wide and 10 yards deep, puncturing the three outer rings of the building. The resulting fire raged for 36 hours, and by the time it was extinguished, 189 people were dead: 135 Pentagon workers and 64 people on the plane (including the five hijackers). A $501 million repair and renovation initiative, dubbed the Phoenix Project, began in early October 2001. Its leader, Lee Evey, publicly declared on October 5 that the goal was to have repairs completed by September 11, 2002. His team’s considerable efforts were largely successful. By then, the Pentagon’s focus was already changing from hunting al-Qaeda in Afghanistan to gearing up for the coming war in Iraq. The Phoenix Project was officially completed in February 2003 at a total cost of some $5 billion. 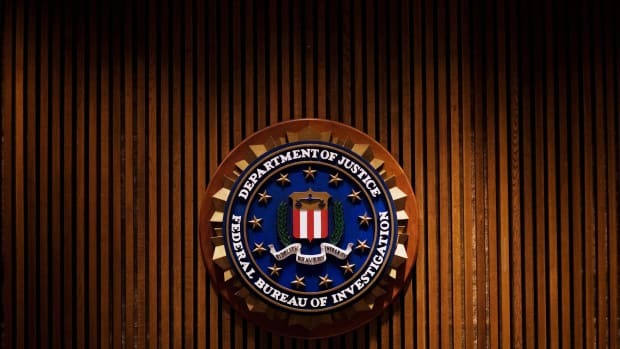 The renovations included sweeping security upgrades, including a move of the Defense Department’s command centers to the basement. In March 2003, designs were revealed for a September 11 memorial, including 184 illuminated benches, one for each victim, set above a series of illuminated pools. Ground for the memorial project was broken in June 2006, and it was opened to the public on September 11, 2008.